World-class shopping, dining and entertainment attractions, beautiful beaches, mysterious deserts and culturally-rich heritage sites – Dubai is a must-see holiday destination, with something for everyone. From shopping enthusiasts and adventure-seekers to foodies and families, this bustling city has an eclectic mix of activities and places to suit all tastes. Dubai’s famous bazaars embody the true spirit of Arabia. At the old times, merchants of neighboring countries have brought their goods to Dubai for sale. Nowadays, in these bazaars, you can buy gold, clothes and fabrics, perfumery and fish, but the most vivid impressions are given by the Spice Market, which dazzles with a kaleidoscope of colors and revolves with the scents of the most valuable spices in the world. The symbol of modern Dubai, Burj Al Arab is one of the most luxurious hotels in the world and is one of the most famous tourist attractions in the region. The hotel is built on a triangular artificial island, towering to a height of 321 meters above sea level. The atrium in the hotel lobby is the highest in the world. Street trade in Dubai is developing at a rapid pace, and today in the city one can meet the BoxPark “mall from freight containers”, glamorous pavilions on The Beach promenade, and the fancy shops on City Walk. As the summer heat subsides, the Dubai public floods boutiques, stalls, and farmers markets will be opened. Among the many attractions of Dubai are the most visited water parks of the city. And this is not surprising considering Dubai, where it is sunny all year round, water is the best way to refresh yourself. Extreme sports will find breathtaking slides with us, and if you prefer a relaxing holiday, idyllic beaches and pools await you. There are not so many cities in the world where the sea borders on the desert. 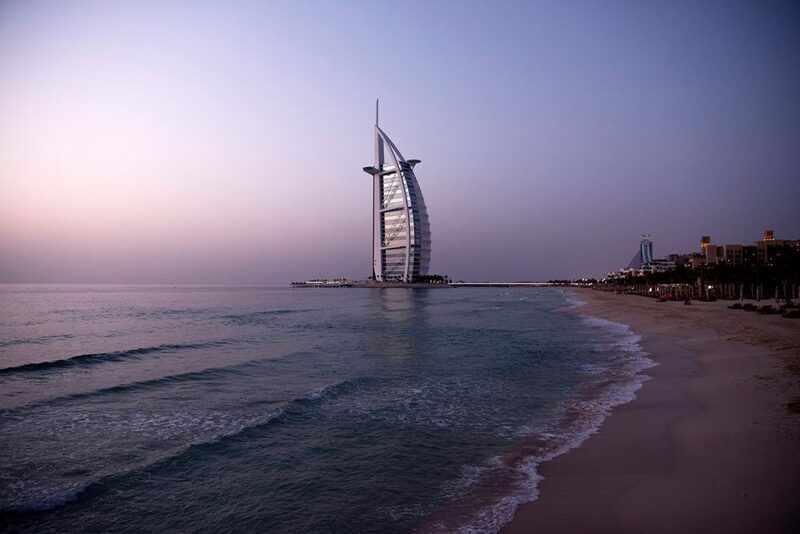 Dubai is beautiful in that the azure waters and the scorching heat of the desert are just an hour away from each other, and therefore, having enjoyed surfing in the morning, in the evening you can ride a sandboard on the dunes. 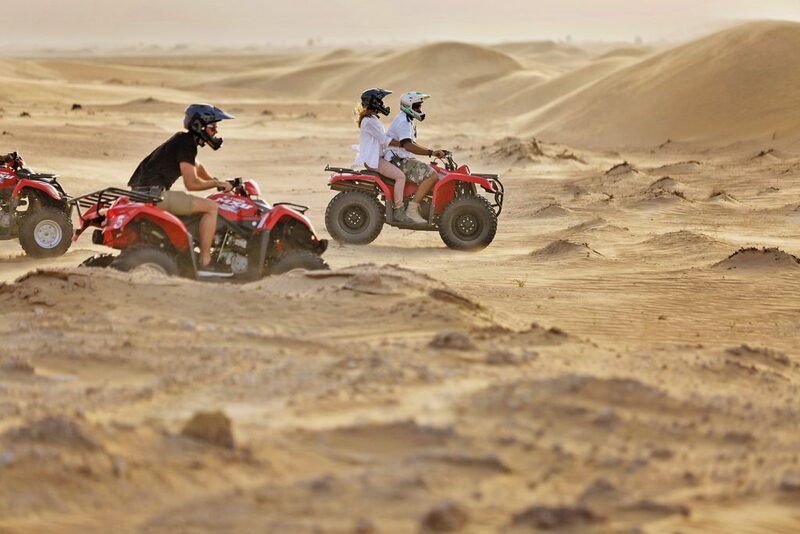 Desert Safari is a true Dubai experience. You are waited by fascinating diving on dunes with experienced drivers (you can also get behind the wheel). Your SUV, like a ship in the waves, will cut through the dunes, zipping along the edges of the cliffs, climbing steep slopes and again plummeting downwards. During the tour, you will make several stops to take photos against the background of the sunset, and then you will be safely taken to the Bedouin camp, where Arabic treats will await you. Whether you’re looking to embark on a gourmet holiday or a sightseeing trip, explore our action-packed travel itineraries to get the best out of your Dubai visit.